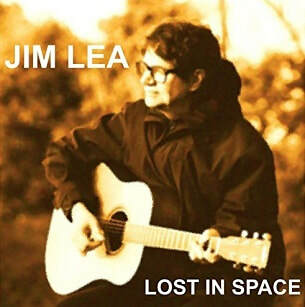 Lost in Space is a Jim Lea solo single, released by Wienerworld on 18 May 2018. It was written and produced by Lea and taken from his 2018 EP of the same name. The Lost in Space EP was originally announced as an upcoming, but unspecified and untitled project through Lea's official website in January 2018. Described as "nearing the completion stage", the project was later revealed on 10 April to be a six-track EP set for release in June, with a "Radio Edit" of the title track to be released as a single in May. Promotional CD copies were distributed to radio stations across the UK in April and the song received its debut play on Stephen Foster's BBC Radio Suffolk show on 2 May. During that month, Lea participated in various radio interviews to promote the single and its parent EP. The Lost in Space EP was the idea of Wienerworld, who initially contacted Lea's brother Frank, who in turn approached Jim to see whether he wanted to produce six tracks for such a release. "Lost in Space", along with the other EP tracks, had been previously recorded, mostly in demo format. Lea retained the original vocal takes, including on the "Lost in Space" demo, but returned to the studio in early 2018 to re-record the music. On BBC Radio Cornwall, Lea revealed that the song dated from around five years ago. For his official website, Lea described "Lost in Space" as having been "written deliberately as a pop song". He added: "Of all the songs I have come up with, this is one of my favourites. The ideas portrayed in the song are of someone spending their life living in an inner world, virtually oblivious to normal life. Some might say I have unwittingly written about myself!" Speaking to BBC Radio Cornwall's Tiffany Truscott in May 2018, Lea said of the song: "There's some philosophy, or psychology, in "Lost in Space". It's about people who find it difficult to communicate. If you actually listen to it, it's not just a pop song". He went on to mention the song's autobiographical nature: "In midlife, I went through a whole "turning-myself-inside-out" phase, I even went to psychology college, and I lost my shyness, which made me free really. I suppose the person that's being spoken about [in the song] could be me. I think a lot of the time you're writing songs and lyrics, and you're writing about yourself and you don't realise it at the time". The song's title was inspired by the 1960s American science fiction TV series of the same name. Lea told Alex Dyke on BBC Radio Solent: "I think somebody was talking on the radio about the old TV programme Lost in Space so I thought "Well that'll be a good title"." "Lost in Space" was released as a digital download single by Wienerworld. A promotional-only CD version was also issued in April to generate radio play.